Copyright 2001, Rainbow Publications, Inc.
Once reserved solely for the martial arts elite of China, Eight-Step Praying Mantis Kung Fu was passed discretely from master to disciple until 1984. That was the year Wei Tsiao Tang passed away and his fourth-generation successor, “James” Shyun Kwong Long, brought the art to the world. 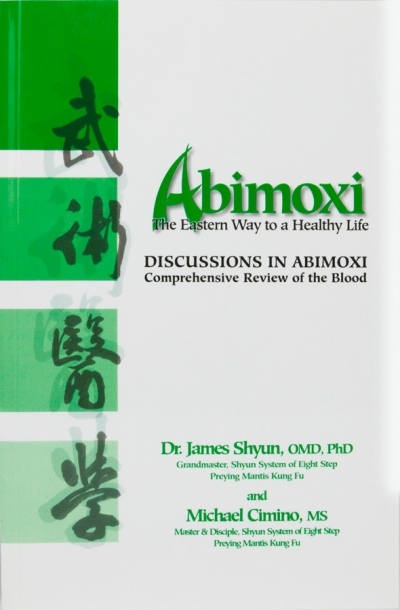 Shyun began by releasing information about the first eight principles of his rare style so martial artists could better understand how it functions in combat. Those principles, called the “Cardinal Rules of Eight-Step Praying Mantis Kung Fu,” can give insight to anyone who studies them with an open mind and applies them in training. As you begin to truly comprehend the treasures contained in them, you will gain a more profound understanding of your art. Mantis kung fu is a process of continuous movement, with each movement giving birth to the next. Fighting involves many variables: your opponent’s size, martial arts background, skill level, and so on. Consequently, it is naive to depend on one technique to work perfectly against every opponent in every situation. If you use continuous movement, however, you can execute a strike and capitalize on it even if your opponent manages to deflect it. Without pausing, you will be able to recover from the stoppage of the strike and deliver a related series of techniques that might lead to a chin-na joint lock or shuai chiao throw. That is possible only if you adhere to your opponent and use his movements to expose his vulnerable areas. Continuous movement involves more than just hitting when your opponent is open; it also involves forcing him to leave openings. Many of mantis kung fu’s strikes double as body controls and are used to inflict damage as your opponent sets up for a joint lock or throw. You make use of any attack he executes by following his momentum and striking him throughout his movement to knock him off course. Strikes that stun leave him susceptible to strikes that devastate. To successfully utilize continuous movement, you must move your feet efficiently. The 16 types of footwork in Eight Step Praying Mantis Kung Fu make it easier to move three-dimensionalfy rather than only forward and backward. That greatly increases your range and fighting potential. 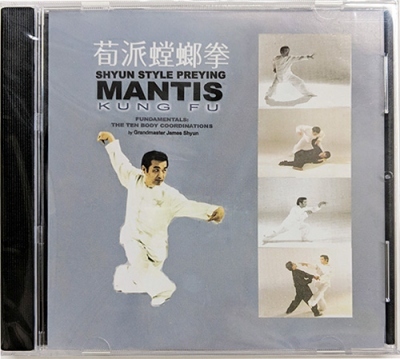 The paradox of mantis kung fu is that simplicity in fighting is achieved through learning a wide variety of techniques. Like a wheel, your skill becomes increasingly rounded and efficient as you understand and utilize more techniques. These techniques work together to make the wheel, but it is continuous movement that sets the wheel in motion. Close in on the enemy using the long hand, then destroy the enemy using the short hand. Mantis kung fu makes use of both distance fighting and close-range fighting. It teaches a full range of kicks and hand strikes, which by themselves would make it a powerful art, but when those techniques are combined with long-range moves, it makes for a very formidable art. The purpose of mantis kung fu’s long-hand techniques is to break through your opponent’s defenses so you can move to an advantageous position behind or beside him. From one of those spots, you can deliver a short-hand attack to a vulnerable target. After that, you can choose a finishing technique based on his reaction to your previous strikes. Attack high to open low; attack low to open high. The principle of attacking high before you attack low manifests itself in the simple and advanced teachings of mantis kung fu. It works by causing the opponent to shift his concentration to one area while you attack a more vulnerable spot. To successfully apply this principle, you must move with your opponent by changing your body position and stance height to match his. You must also be able to instantaneously switch the levels to which you launch your attacks. Attacking left, defend right; attacking right, defend left. Whether you are attacking or defending, you must keep the vulnerable parts of your body protected. When you strike with your right hand, you should keep your left hand ready to protect your body. And to bolster all your defenses, you should fully retract your striking limb immediately after it hits its target—unless, of course, you are using it for a combination. When you use your right arm to attack the left side of your opponent’s body, your left arm should protect your ribs, head and neck or control his left arm. When you have control of his arm, you can control his waist and nullify any cross-body punches he might attempt. Then your right arm can continue attacking. Attack and defend simultaneously, since all actions are neither exclusively offensive nor defensive. Any action always contains the potential of its opposite. Reversing is the way of the Tao. Attacking and defending is not easily differentiated in mantis kung fu because they are considered parts of a whole. When you attack, you keep defense in mind. That sounds paradoxical, but realize that every time you block a strike, you send the attack back to its source. If you block and employ iron-body methods, which teach you how to bounce the incoming force back to your opponent, you can take his attacking limb out of commission permanently. 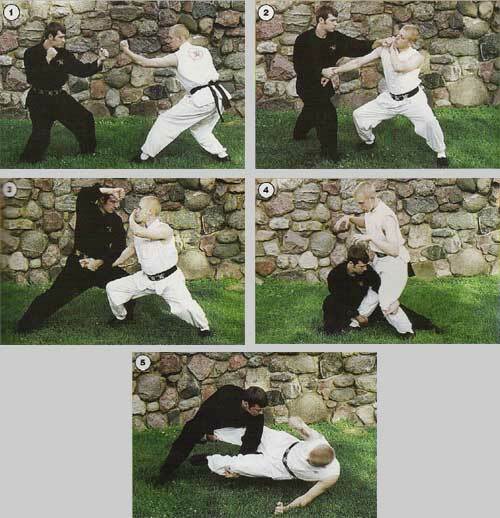 Many of mantis kung fu’s techniques involve blocking and hitting at the same time. Other blocking techniques allow you to take control of your opponent’s body as a prelude to a throw or joint manipulation. When he feels an impending attack and resists, you should not directly oppose his force; instead, you should reverse direction to go with his momentum. That saves time and energy because you move in harmony with him and use his energy to your advantage. To reverse his force, you must develop sensitivity to his movements. Once you learn to relax your hands and arms, you will be able to feei his strike before it makes contact. As soon as you detect his movement, you can employ sticking-hand techniques to follow his attack and reverse it. Action must be natural and reflexive. Don’t think; just act. 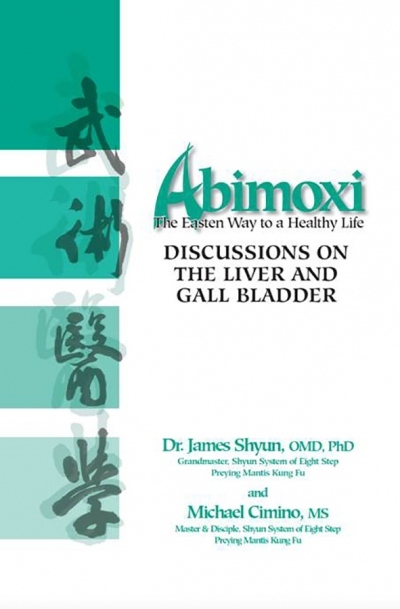 Keeping your body natural and responsive enables you to react quickly and spontaneously. You should strive to possess a calm yet alert mind-set and stay physically and emotionally balanced. The animal styles of kung fu are based on how those creatures hunt. Predators such as the praying mantis feel no anger or rage when they strike. They attack with a calm focus, taking the most convenient target available. You should do the same. Stay relaxed and change the stepping pattern. Through relaxation, you can forge your body into a single working unit rather than a collection of parts. That is teamwork in its most basic form. Relaxation allows you to develop amazing punching and kicking power and heightens your sensitivity to your opponent’s movements. You must be relaxed to effectively practice iron-body methods and meditation because these activities require you to be aware of your chi (internal energy). Animals known for strength and speed—for example, the bear and cheetah—illustrate relaxation in action. When their running movements are examined in slow motion, a wave can be seen rippling through their bodies. It is relaxation that lets them maximize their power. Through mantis kung fu, human beings can learn to make the most of their strength and speed by moving naturally. Only when you have learned to move naturally can you correctly apply the stepping patterns. Properly utilizing those patterns can get you past your opponent’s defenses and into an advantageous position for attack. By moving from a high position to a low position and from right to left while following a stepping pattern, you can keep your opponent from determining the angle from which you will attack. One of the most important aspects of this principle is continuous motion. If you do not change your position and direction, you will become like a stagnant pond. Once you become stagnant, your opponent will begin to adapt to the direction of your attack. By altering your fighting position and striking methods, however, you will leave him guessing about where the next blow will emanate from. In stillness there is action; in action there is stillness. Although paradoxical, this principle holds the deepest potential for application. Meditation takes place in stillness, which is found in body and mind. Within this stillness, the flow of chi is felt. Chi moves through the body like water through a series of hoses. The more constricted the hoses are, the slower the flow is. When the body is relaxed, the meridians open and allow more chi to permeate and energize the flesh. At the same time, sensations such as rooting can be more easily felt and applied to fighting. Rooting is a method for keeping your body in balance through relaxation. It feels as though every part of your body is hanging while your feet are firmly planted. Your roots do not hold you down; rather, they keep you centered while you attack. Although your body moves, your roots remain centered and still like a speeding train that stays firmly on its tracks. Stillness in action also comes into play. When your opponent punches at you, you wait calmly, following the movement until the appropriate time for a counterattack. In that instant, you capitalize on the opening he presents. Located three inches befow your navel, the tan tien (also spelled dan tian) is the energy center of your being. Extensions of your body—for example, your feet and hands—move a great distance in relation to your core but they have no power by themselves. 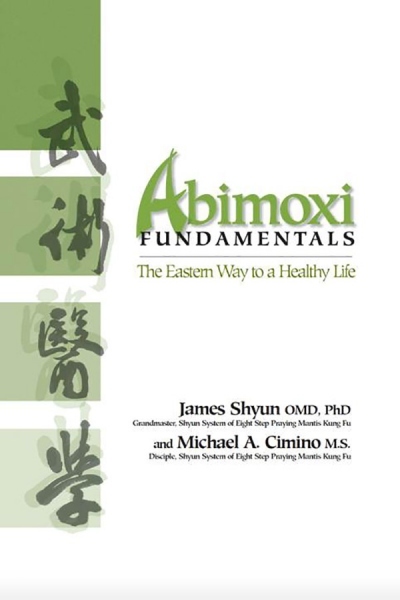 (Chinese martial artists call this “empty movement” because it lacks power and accuracy). Your hips and shoulders are closer to your tan tien and, therefore, more centered and powerful. In general, the closer a body part is to your center, the more power, speed, and fluidity it has. In the classic Tao Te Ching, Lao Tzu wrote, “The source of action is stillness.” In the same way that quiet snow can give birth to a rushing river, the unmoving tan tien can serve as the origin of movement and center for chi flow. The tan tien is also the body’s kinesthetic center of movement. When you run or swing a baseball bat, the force you generate inevitably passes through your tan tien. The more efficient you are at making your movements come from your tan tien, the more power and endurance you will have. Obviously, Eight-Step Praying Mantis Kung Fu includes much more than the principles described above. However, before you progress to those teachings, you first have to assimilate the concepts presented herein. And simply doing that will greatly improve your self-defense skill.